Future Fate of Iconic Neon? The abundance or romance of national chains is nothing new to the valley. 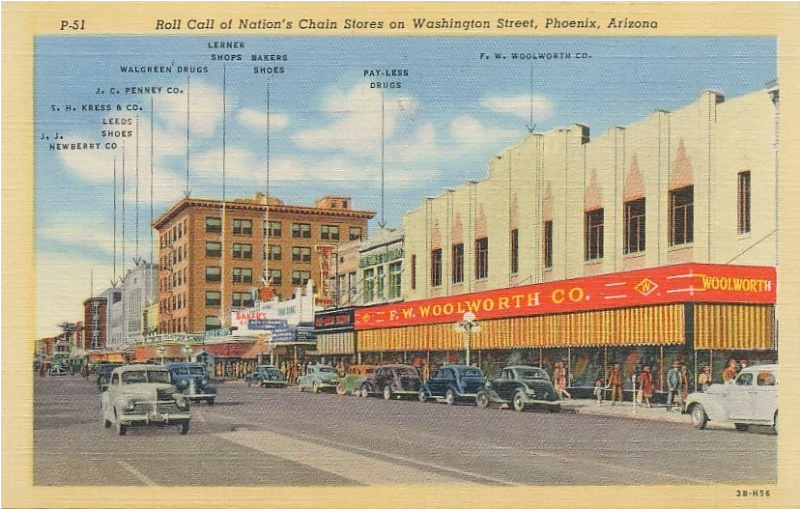 Just check out this vintage postcard. The buildings and signs have long ago been torn down. The case for preserving buildings is a strong one with many advocates, but what about signs? The Highway Beautification Act was enacted in 1965 that allowed the removal and heavily restricted the replacement of these highway gems. I could talk about the Diving Lady downed in an Oct, '10 storm. The first reaction of many is that sign couldn't go back up due to existing sign codes, but the city has agreed to let it go up, again. 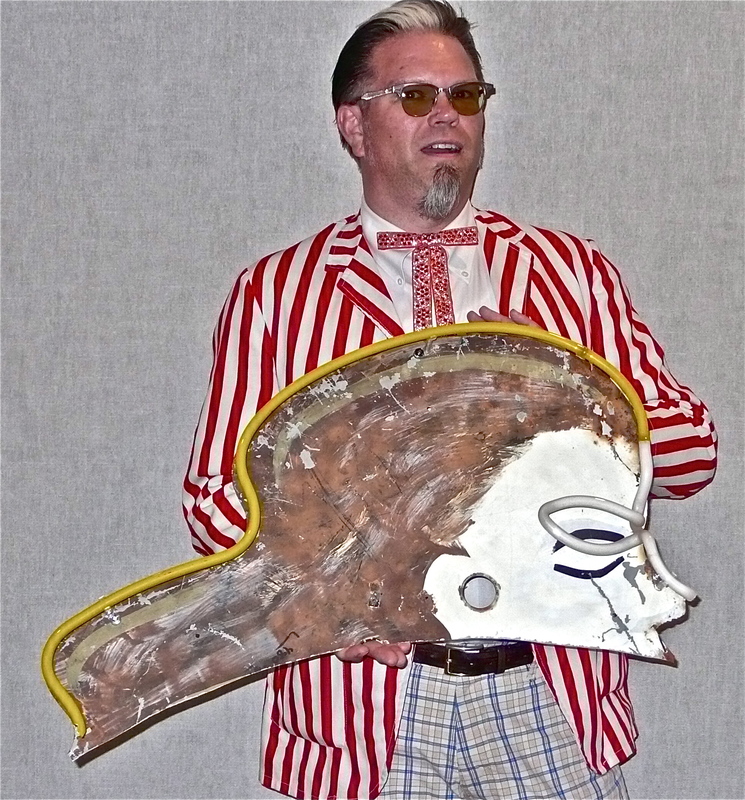 Here I am holding the last surviving piece of the original diving lady. 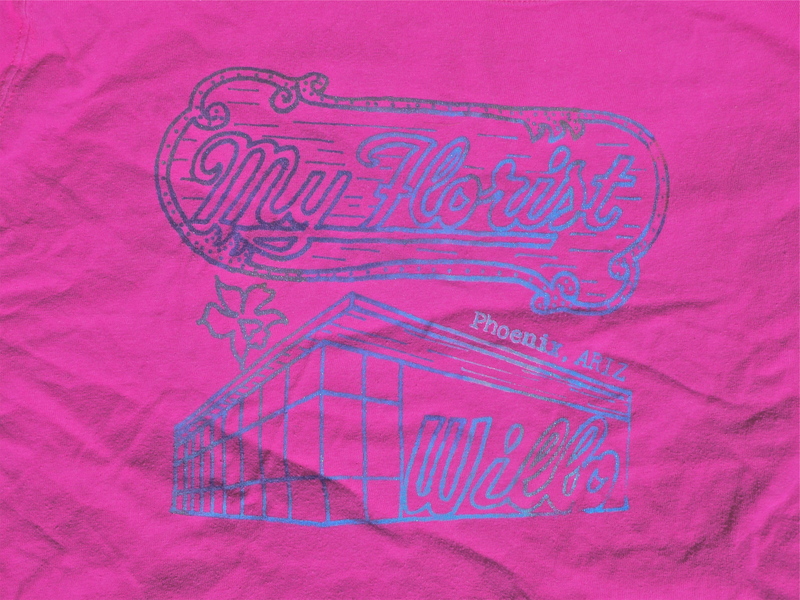 [caption id="attachment_571" align="alignright" width="300" caption="NE corner of 7th Ave and McDowell, Phoenix, Ariz"] [/caption]The caveat is that on the website the art work of the My Florist sign, not only remains dark, but is missing altogether from the current renderings. When contacted via mail they was no response about the future fate of the lovely purple beacon of the Willo. Is the sign worth saving? I say yes, but I am only one voice. How should we go about saving the sign as a part of Americana? This summer in Tucson is the Arizona Historic Preservation Conference where Friday late afternoon is a presentation where we about Tucson and Mesa efforts to save [caption id="attachment_569" align="alignleft" width="300" caption="100% upcycled t-shirt created by Marshall Shore: Retro Spectacular"] [/caption]classic neon. 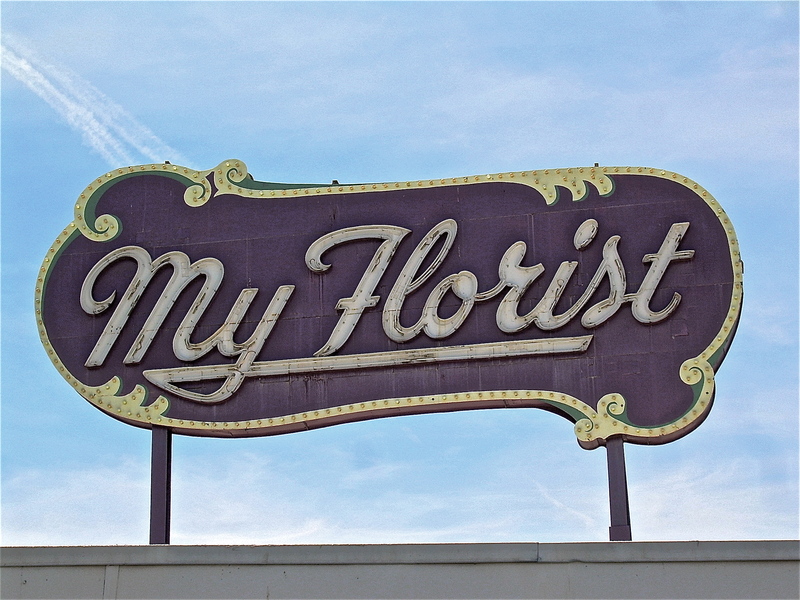 Let's hear from you if you think that the neon My Florist is worth saving! Here is T-Shirt that I designed and is available at ecOcentrictity andZinnias at Melrose.